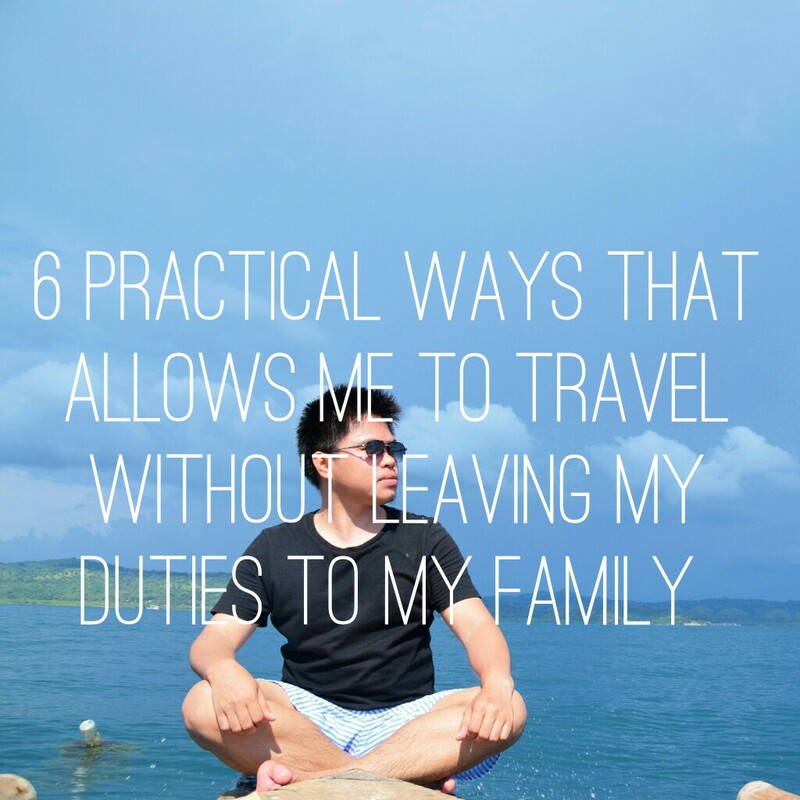 6 Practical ways that allows me to travel without leaving my duties to my FAMILY. Everyone’s ultimate dream is to travel, but only few whose able to take the risk and make it happen. There are reasons that we should constantly take to consider since we’re all have baggage to carry everyday and even extra baggage sometimes. Our obligations are always there, especially if you’re one of those Filipinos who used to embrace our culture. It’s in our lineage to help our parents if we hold a good paying job, as our way of giving back for the supports, sacrifices, and love they have given us since our first day of stay in this world. I usually received a bunch of questions from my friends and even strangers regarding my life. They invariably have this idea that I came from a rich family that’s why I can able to travel. To tell you honestly, I made my way out of poverty, I left home when I was 13 years old and explore the small space that is provided for me. I live life on my own, starting to build my dreams, molding the version of choices I made, listing what I want to become and start turning over them step by step. It was a tough journey since I resolved to leave home and start living on my own. No financial support from my parents and no family to rely on, but those decisions are what made me who I am today. There is simply so much to learn when you travel, and this is what brought my two little itchy feet to a paradise called adventure. I actually struggled a good deal when I decided to travel, but promised is a promised. Since I’m officially 21 years old, I began travelling around the Philippines and I’ll be sharing you some tips how did I get started without leaving my responsibilities to my PARENTS. 1. Know your source of income and possible ways to gain additional funds. I have a regular job where I only spend my 8-9 hours in a day. Since I have 24 hours a day, the remaining hours are not intended as my free time to savor. I use my free time to gain some extra funds by doing some online jobs and do some writing gigs. In this way, I can able to help my parents and live the life I wanted to have. 2. Make the Right mindset with discipline when you set your GOAL. Saving money separately for my travels requires the right mindset and discipline. Know your purpose why you saved money and what made you decide to save some funds for your travel. This will help you in assisting the level of your passion for traveling, it will help you build the right skills in monitoring your budgets. 3. I put aside my attachment to material things. Exactly like what catchphrase says, collect memories and not material things. Human as we are and living our life in a modern world, we can’t evade to crave and buy things, especially if we have money to purchase. But in my case, I only buy things when I seriously need it. I constantly have this idea that as long as I can still make use of my things, I don’t buy new stuff just because sales are everywhere. In this way I can save some money and train myself how to be responsible for my funds. 4. Know when to say No and Yes to every invitation. Not all invitations are subject to end with YES, you just have to educate yourself and be keen when to say No and Yes. I sometimes reject when meeting an invitation of my friends, particularly when it’s not related to travel. I switch off my connection with night life, by not going out with friends for “GIMIK” and other stuff that are only a waste of time, effort and money. But I’m not saying I literally stop going out with friends, I go out, but let’s just say, it is moderated. In this direction, I can train myself to be responsible with my decision, not only that I can save my money, but also my time. 5. I don’t go for a fancy dinner for my Facebook and Instagram status. I’m not saying it is bad to have a fancy dinner. What I mean is, you can go for a fancy dinner, but moderately. I have discovered these days, that some people are eventually going to a top of the line restaurants because they are claiming good status. I don’t have problems with that, but make sure that you didn’t have baggage that is being left behind. Know your real status before claiming to be in the world you think you’re fit in, is a good idea. Don’t force yourself, just enjoy life according to what you have. In my case, I don’t go for a fancy dinner for the sake of my life’s status, as much as possible I resolved to eat at home. In this way, not that only I can save money, I can also train myself to prepare my own food. 6. Know yourself deeply, discover your hidden skills and talents. One thing that I realized, skills and talents can always be molded and make use of them for good. One of the few things I recently discovered was my talent in selling, hence I make use of it and started selling perfume to earn some funds. They said, if you want to be rich, know how to sell. There’s nothing wrong in selling, as long as your products can make noise with dignity and quality then your products can represent yourself to your clients.There is no real hard in selling, choose the right products that are close to your heart, in this way, you are not simply building a good and strong customer relation, but you’re also developing your skills in making a right brand. Talents can also be a good source of income, I’m not proficient in communication and I don’t have a sense of humor, but I never make it as a hindrance to step ahead and make use of it. I found lately, that I can able to do hosting in events like wedding and birthdays. My point is, make use of your talents, skills, and be productive. This will not only help you to grow as an individual, but also you’re molding yourself to a better version of yourself. I’m not an expert in everything and I don’t claim to be one, but I always make certain to utilize whatever God has given me. There’s nothing wrong when you step outside of your door and start exploring the possibilities, you don’t know what you can do that is far more serious than what kind of life you’re living now. Always taste and constantly embrace new possibilities, you will never know, it will be a right time to leave your old life and explore the world, with a lot if memories to treasure and story to share as well. I have currently visited the 41 Provinces in the Philippines that took off with a determination and decision to make. I’m aiming to visit the 81 Provinces in the Philippines and starting to explore the world as well. Just decide, don’t just let your bucket list to sleep in your room forever, start hitting them one by one and I’ll be happy to read your story as well. Let’s explore the Philippines and the world. Happy and safe travels everyone! Previous Post: GOLDEN PRINCE HOTEL & SUITES: Celebrating 10th Year Anniversary with an exciting activities and surprises for everyone. Next Post: Patty Pie: A Fresh Choice of Palatable Inspired-Western Cuisine. Excellent post, well done, a wonderful example of creating your own reality ! Here in the West we use an old Latin saying. “Carpe diem” which means “Seize the Day”. You seem to have made a good start! Ariel, what wonderful wisdom in this blog for others to follow in your footsteps, you will certainly attain your goals, and your parents are truly blessed to have a son with your lovely loyalty. God Blesses those who honor their father and mother, I am sure you have lots of talents still to be revealed. Well said, Lai! Saying no to social dinner or drinks is the hardest for me. When I was in the Philippines, I was juggling three jobs. Now that I’m in Saudi Arabia, I only get to do one because it’d be illegal to do extra. That’s something I so want to do but can’t because of the circumstances. Anyway, cheers to your dream of completing the 81 provinces of country and well said. The latter goes to your mouthful pieces of advice, ways as you call it. You’ve got one lucky family, Bro! Anyway, cheers to your dream of completing the 81 provinces of our country, and well said! The latter goes for your mouthful pieces of advice. What great advice – we all make choices, it’s just some of us don’t know when those choices impede our ability to do what we really want! I especially like the advice of detachment to material things. Even if we don’t have the desire to travel, it is a good idea to live simply and resist the temptation to surround ourselves with too much unnecessary stuff. Congratulations on your self-mastery. I wish this gets through to a lot more readers. Hi, Lai! I admire you more in this post. It shows how mature you are, setting your priorities right and going for it. I appreciate how you laid out the realities of life — work, family duties — and how you did not let this hinder in your desires to travel. Keep going! Thank you so much for your remarks. I had a good points there. Have a great day ahead! Wow, thanks for sharing about that one John. Yes, I made a good start and I’ll continue. Thank you! 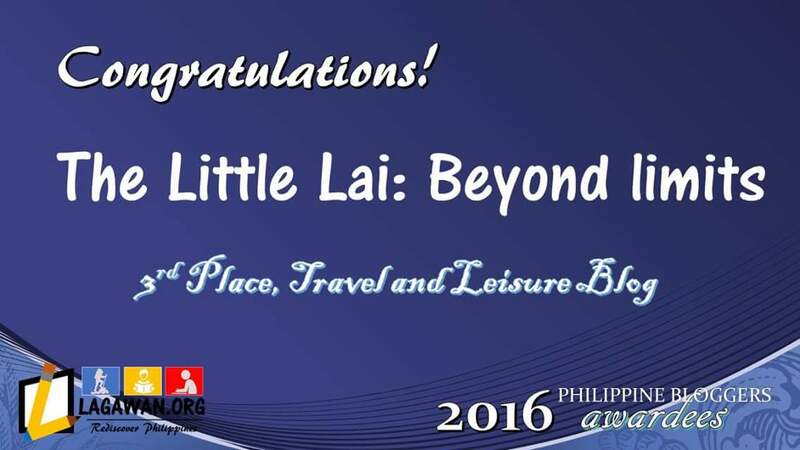 Thank you for always being supportive about my small achievements since the day you have crossed on my blog. You’re also one of those bloggers I’m being inspired with. God bless always! It’s okay, as long as you can manage that won’t be wrong. Keep writing and traveling Joyce! Thank you for dropping by, that’s what they always say, no matter how hectic your schedule is, and busy you are if you’re really fond of traveling, you really make sure to mae ways to do it and fulfill your wanderlust. Whatever we do, we should always never forget our responsibilities to our parents. Thank you for you good remarks. Have a great day! I’m actually really struggling a lot while doing that, but eventually it goes smoothly a long the way. I was able to manage my responsibilities to my parents and my own Dream to travel. I’m so happy that you’re also traveling. Keep moving forward and follow the places you want to shoot the breeze. I as well can relate to where you have been, I also grew up that used to drink coffee instead of milk when we were still kids. We have our breakfast with a bunch of root crops on our table cause we don’t have rice due to the lack of money. I salute you for being so strong in spite of your struggles, but look at you now? You’re far beyond what you have expected to become. I’m so happy for you and thank you for being so supportive on my journey! Wow, your comment is inspiring Sarah. Not everything will happen in just one glimpse, it all takes time and sometimes it all happen in a right time and at the right place. Yeah! There’s should always be a control in material things, they’re only exist for good if they act on their purpose to each one of us. Thank you so much for your inspiring and motivating remarks. Sometimes, it’s just a matter of balance in everything that we do. Happy travels! You know how glad I am when I saw your comment? You’re one of the travel bloggers I look up to the most. Thank you so much for taking time to read my post. Have a safe trip always and God bless! many view travelling as something extremely extravagant, but there’s so many ways to go budget on travelling and yet still gain the most enjoyment out of it! and also, it also depends on where our priorities lies. fully agree with your point on putting aside attachment to material things. i would rather spend the 1000 dollars on an air ticket than a leather bag from a luxury label, anytime. I send my sister to school, that’s one responsibility that I couldn’t neglect so I try to do my best to manage my finances without sacrificing my obligation to her. At the same time, I want to travel, it’s my drug, I always need to get away because it is a part of me. So really it all boils down to managing things, and you do have great tips here on how to do just that. Yes, it is because they didn’t see how we sacrifice things before they see us posting beautiful scenery in our Facebook and that’s the thing they will never understand. Anyway, life is beautiful after all. Thank you so much Sarah! Keep traveling and writing. Yes, we totally deserve an award after all the hard works. I feel the same way! I also get these types of questions all the time and one more: “Who is your sponsor?”. I was getting so upset until it just became too hilarious! Hi Lai, thank you for the inspiration. 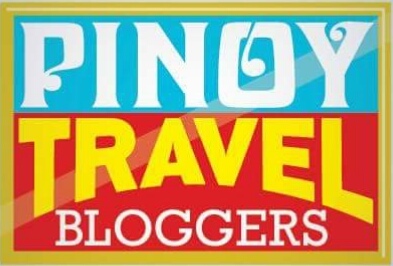 I am planning to start my travel blog soon…and you’re one of those I am looking up to. (Hopefully) Can I get some tips from you? Thank you in advance! Hello! Thank you so much for dropping by and your message has inspired me equally well. Yes, you can always ask me as long as I’m knowledgeable about it too. Wow, that’s great news for me! I’m looking forward to awesome friendship with you and other bloggers. Thank you very much. Such a nice post. I completely agree with you. We are not very materialistic. We just care to have the very basic stuff. Saving is essential. Your bravery and dedication are worth admiration, Ariel! I really enjoyed reading your motivational post! Great job! You are such an inspiration, and it’s great that you are able to document your trips and share your wisdom in this great blog of yours. I hope that many more people, especially the youth, will come across this space and be inspired by your life and journeys. And in this post you show what choices we should make 😀 Awesome the one: No fancy dinners to facebook and instagram status ahaha! Glad I stumbled into this post of yours last year. I agree! I remember when I was single and my earnings is a lot lower, I had to be creative to come up with funds for a trip. I agree with the items you said especially #5!! Your post makes so much sense and. gives direction. I agree we all have baggage of responsibilities which we should take care of and find the sources to fulfill them. Using your own talents always proves to be positive and actually there is nothing wrong in selling ourselves. It is very true that you just need to make a plan to make your dreams come true and act on it! That’s what I do and so far it has always worked out for me! I plan to make it to the Philippines very soon! Well said, Lai…one must know deeply about oneself, but that is not easy. We are so hardwired into thinking so much unrealistically that it pains us later on. I am glad you found time to dwell upon deeper issues after all these travels. Interesting post and simple with a powerful message. Yes, it is possible to go around the country if one can have the decisiveness to stick to the goal and have the discipline to save. In most cases, what some others may also want to consider is to save the money for travel, use it for investments and keep it growing before using the profit generated by investments for travel. It is fun to go here and there, but at the same time, it is better to grow the money and use it a little later. I finally re-found what I had started earlier! I like this list, it’s informative and also a little vindicating, as I do most of this stuff. I do admit to having an over-abundant closet but I do go through it every few months to clean and give to others. I always add at least $5 of my paycheck into a separate checking account for travel (or emergency funds) that I do not touch at all until I’m ready, and my friends know that I would rather have them over for dinner than go out. At 34 I’m pretty past the bar-hopping stage (plus I’ve never been a drinker and only go to bars for the karaoke, really) but sometimes it’s hard to say no to a good massage when your shoulders are so tense that you can’t sleep! I’d love some online writing options, the only place I really know about is fiverr and that doesn’t always go well.